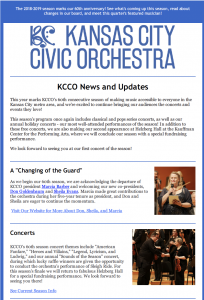 Our quarterly newsletter gives you a peak inside the orchestra! 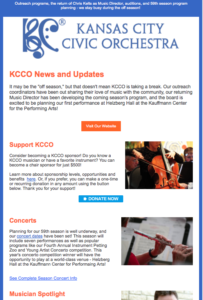 You’ll get to know some of our musicians through the Musician Spotlight, see what kinds of outreach activities we’ve been doing, and – of course – get information about our concerts. 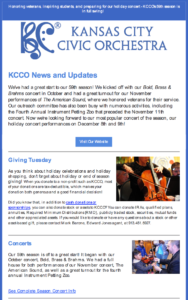 Click the image below to view our first newsletter. We’ll add new issues as they become available.